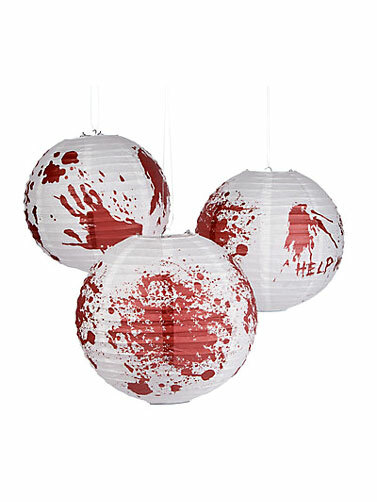 These Bloody Handprint Paper Lanterns will give your Halloween party decorations the macabre touch you are seeking. Perfect for a zombie party and includes 6 white paper lanterns with a red bloody print. Wire frames keep the lanterns shape and include a metal hanger. Easy to assemble. Bloody Handprint Paper Lanterns measure 12" in diameter. 6 Pc.